Polish application for booking visits, for example hairdressers and beauty salons, has closed another round of financing. 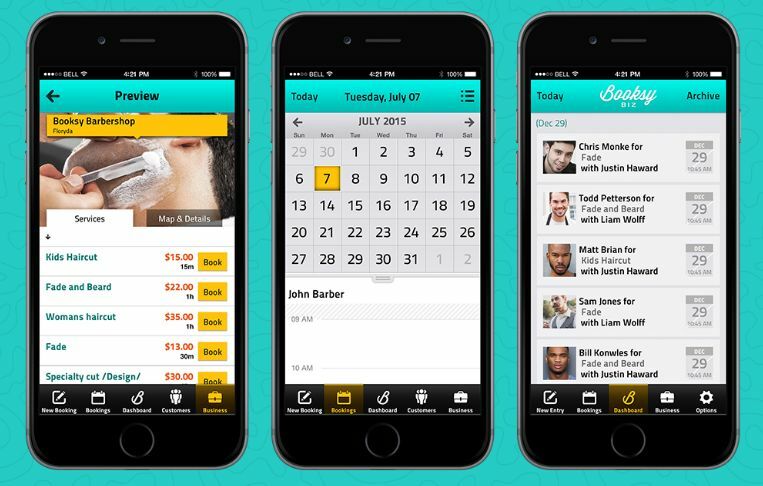 This time Booksy received more than $ 4 million. It will be allocated in further development of several functions, such as allowing in-app payments, enabling larger merchants to handle personnel through the software, and development of better reporting systems. Many of the beauty service providers do not have time to pick up calls and make appointments after their work hours. Customers, on the other hand, want to book a visit twenty-four hours a day, seven days a week. Booksy helps both clients and owners of premises in solving this problem. Customers – because they have access to the platform at any time, and entrepreneurs – because it happens without them, so that they can do other things at that time. Adoption of the app has been shown to improve customer loyalty and frequency of bookings. It is partly because by using Booksy, businesses are able to accept bookings outside of working hours for the first time. In addition to scheduling, Booksy helps entrepreneurs with several other features meant to support and boost their processes, such as a CRM, marketing automation, inventory management, point-of-sales, reports, management of commission for employees, and (soon) in-app payments. In contrast to its competitors, Booksy does not act as a marketplace or even does not charge for reservations. It operates in a SaaS model with a monthly subscription. The application has competitors in every market, for example: Treatwell from the UK, LadyTime from Poland, StyleSeat from the U.S., Vaniday from Brazil. Each of them acts as a marketplace and charges for reservations. Entrepreneurs are not content with that. This round of financing led the Open Ocean fund with participation of the Australian company and investor Investible, as well as Polish Nomad Fund, Kai Hansen (ex-Lieferando), Apostolos Apostolakis, as well as the head of the Google Campus in Warsaw – Rafal Plutecki. In 2015 Booksy already received EUR 700 thousand, which was invested in the project. Among others, the investor was Inovo vc fund.